There are a million reasons as to why St Ives is so loved as a holiday destination. 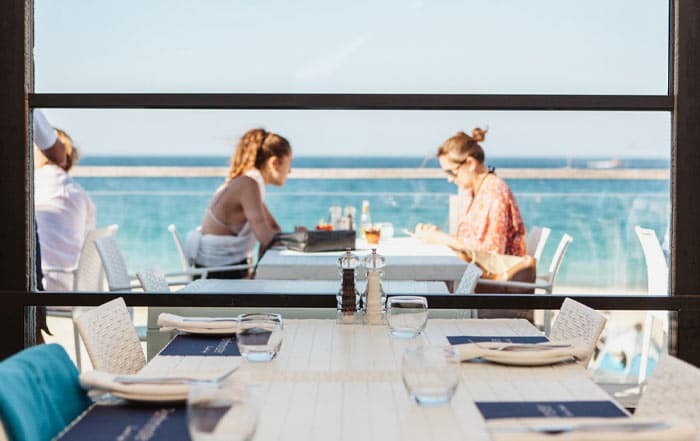 Not only is St Ives home to some of the most beautiful beaches in the UK, quaint cobbled streets, and a fantastic art scene but also boasts amazing choice when it comes to dining out. 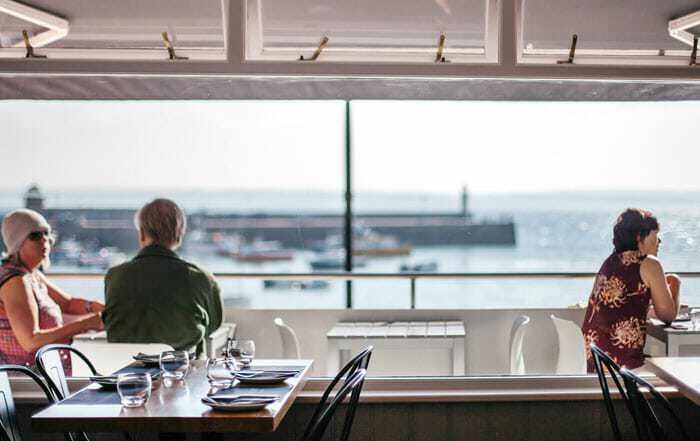 And we aren’t just talking about your standard eatery, we are talking about indulging in locally sourced food whilst taking in breath-taking views around St Ives. 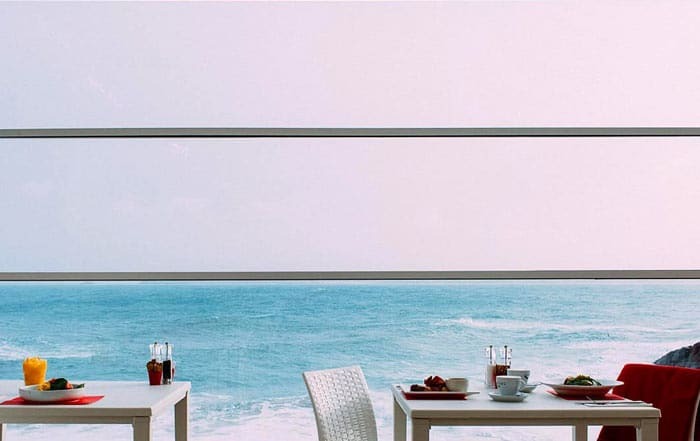 Situated right on Porthgwidden beach, the Beach Café specialises in Mediterranean and seafood cuisine. With the recent extension of their large terrace it now means that there is plenty of space to soak up the incredible views across to the bay whilst enjoying specialities or a selection of patisseries and the finest ground Italian coffee from Lavazza. 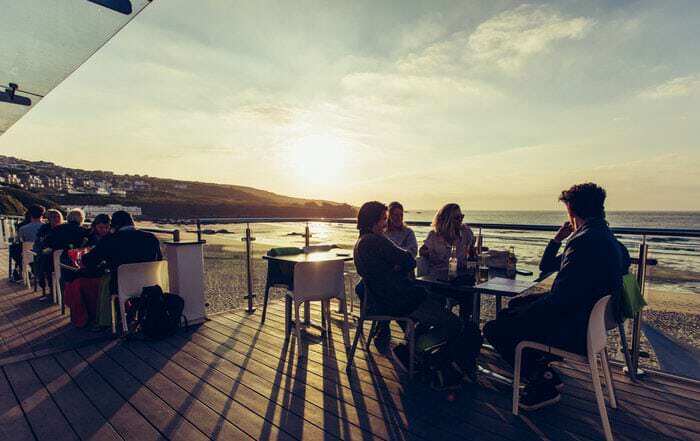 One of the trendiest eateries in St Ives, Porthmeor Beach Café offers a buzzing atmosphere and al-fresco dining where you can either sit back on the terrace and admire the views or chill out in the heated booths. Take your pick from an extensive menu which includes their famous build your own breakfast, seafood tapas and vegetarian options. If you’re looking for a lighter bite to eat then Porthminster Kitchen is the perfect place for you. Using global flavours and fresh local ingredients the restaurant serves a quirky take on Cornish cuisine. There is a small sheltered terrace here overlooking the beautiful harbour, perfect for coffee or breakfast in the morning sunshine! 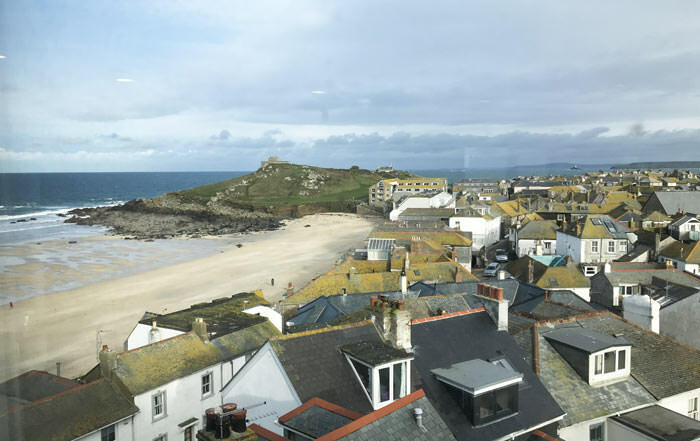 You probably know the Tate as one of the most famous, modern art galleries in the UK, but did you know that the Tate also has a café that overlooks the Atlantic Ocean and old town of St Ives? The Tate Café serves seasonal dishes, traditional cream teas, breakfast and lunch. During the warmer months, the Tate also opens their rooftop terrace for guests to take in the spectacular view and unwind over delicious, locally sourced food. If Thai food is your thing then you can’t miss a trip to the Talay Thai Kitchen. 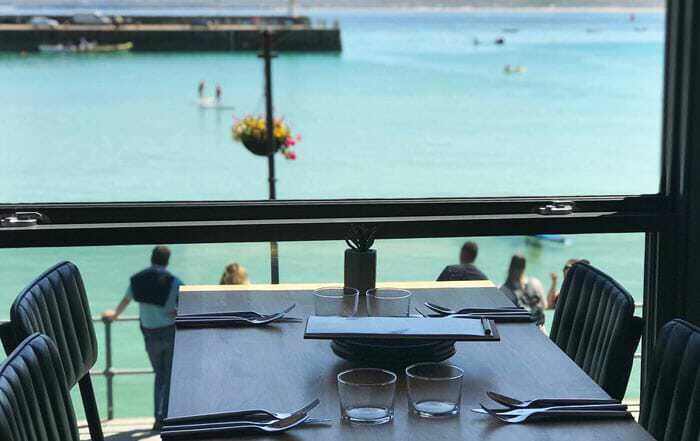 Positioned right on the harbour front in the heart of St Ives town, the restaurant is a greatplace to catch all of the action. Choose from an array of Thai dishes from tapas to curries and sit back and gaze through their huge windows. The best gastro-bar in town, the Silco Searoom is perfectly situated on The Wharf, the cobbled street overlooking St Ives Harbour. 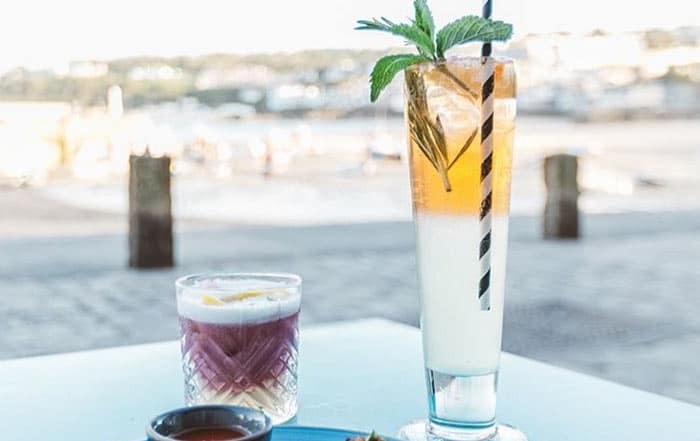 The home of St Ives Gin, this gastro-bar has won multiple awards for its local seafood, craft beers, and of course gin. Specialising in G&Ts, enjoy a class (or three) and indulge in seafood tapas whilst watching the world go by. 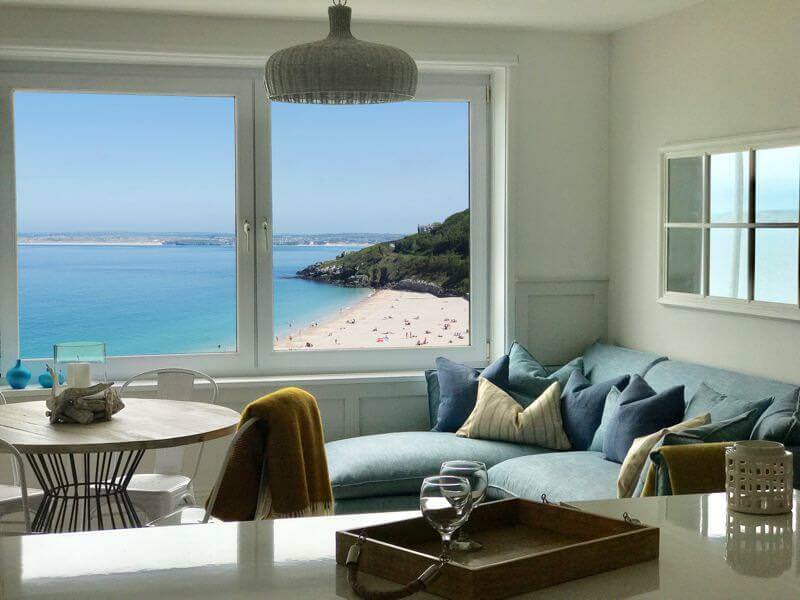 Just a couple of minutes walk into St Ives town centre, Blue View is a stunning St Ives apartment with amazing uninterrupted views over the beautiful Porthminster Beach. Number Seven is a family friendly two-bedroom apartment with sea views over St Ives Bay, Godrevy Lighthouse and the North Cornwall coastline beyond. 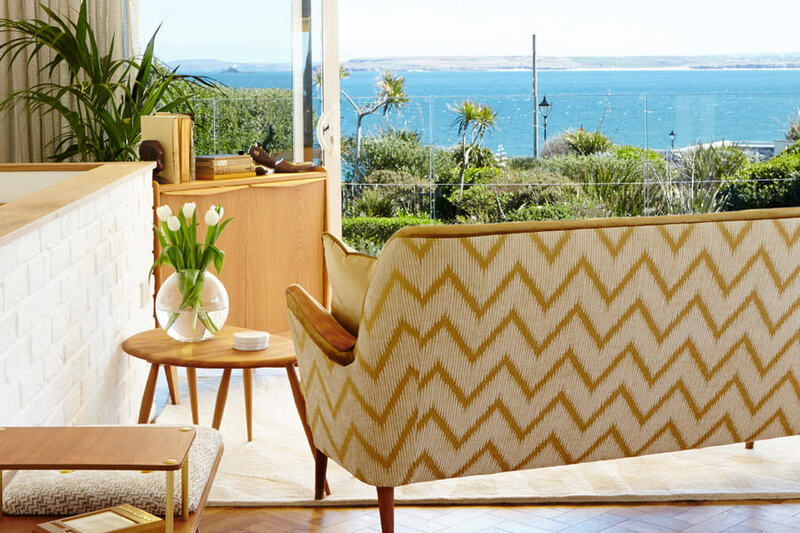 Sands Studio has stunning views from its open-plan living spave and terrace, and is situated just paces away from the beautiful Porthgwidden Beach with its sheltered golden sands and excellent café. 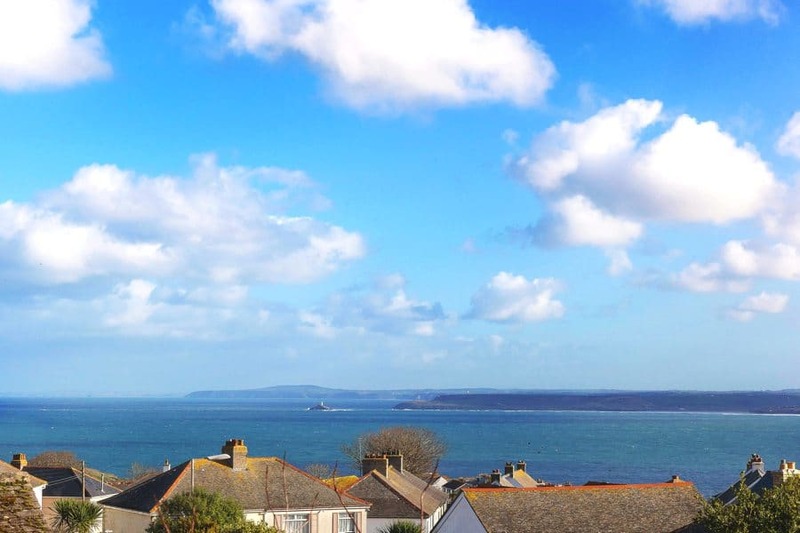 Stones Reef is a larger property located higher up in St Ives, a fifteen-minute walk away from the harbour, but with lovely far reaching views over the bay from the window seat in the upstairs lounge. Finally, Carbis Bay is the location for the luxurious Trenoweth Lodge, a large four-bedroom house just five-minutes walk from the beach. Sea views from upstairs bedrooms with the best views reserved for the outdoor terrace, the perfect spot to enjoy a sundowner after a hard day on the beach! The perfect property for perfect Carbis Bay holidays. So St Ives is a holiday rental agency based in St Ives, our favourite place not only in Cornwall but in the whole world! Our properties are all based in St Ives & Carbis Bay; from cosy cottages to stylish apartments, dog friendly and romantic retreats. We welcome short breaks out of season & have a good knowledge of all that St Ives and Cornwall have to offer.